Today, Apple officially released iPhone SE with more powerful hardware and lower prices. 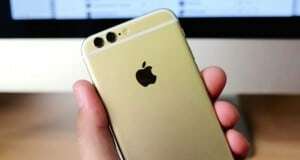 The preorder will get start at March 24, in addition to Apple also launched an iPhone trade-in program. 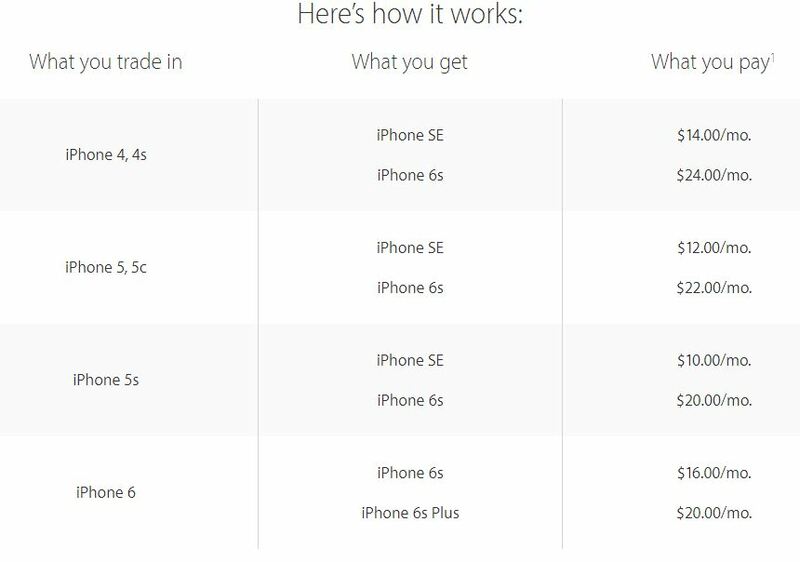 If you just have an old model of iPhone and want to buy the new iPhone SE, then this way will be more cost-effective. Whether you want to pay as low as $10 a month or get up to $300 in credit, it’s a great time to turn your current smartphone into a new iPhone. Trade up to iPhone for as low as $10 a month. Give us your eligible smartphone and we’ll use its value to lower the monthly payments on a new iPhone of your choice. Once your iPhone is activated, it remains unlocked so you can choose the carrier and rate plan that work for you. Visit an Apple Store to get started. The devices listed above are common trade-up combinations. Monthly payments are based on 16GB models and a 24-month installment plan. You can also trade in other eligible smartphones.1 For every option available to you, talk with a Specialist at the Apple Store. iPhone SE will be available beginning March 31. Get instant credit in store. Take your iPhone or eligible smartphone to an Apple Store and get immediate credit toward the purchase of a new device. Get a gift card by mail. Simply tell us about your device using the online form and get an instant estimate from our partner. Mail in your device for free and after a short time, your Apple Store Gift Card will arrive. Just go to this page to trade in your old device.